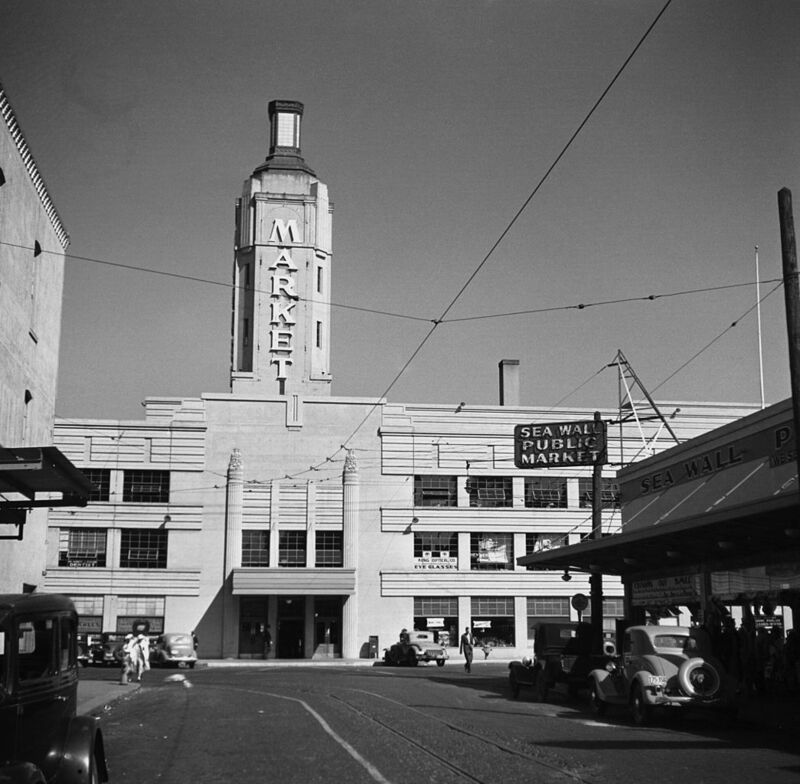 Public market at Portland, Oregon, July 1936. 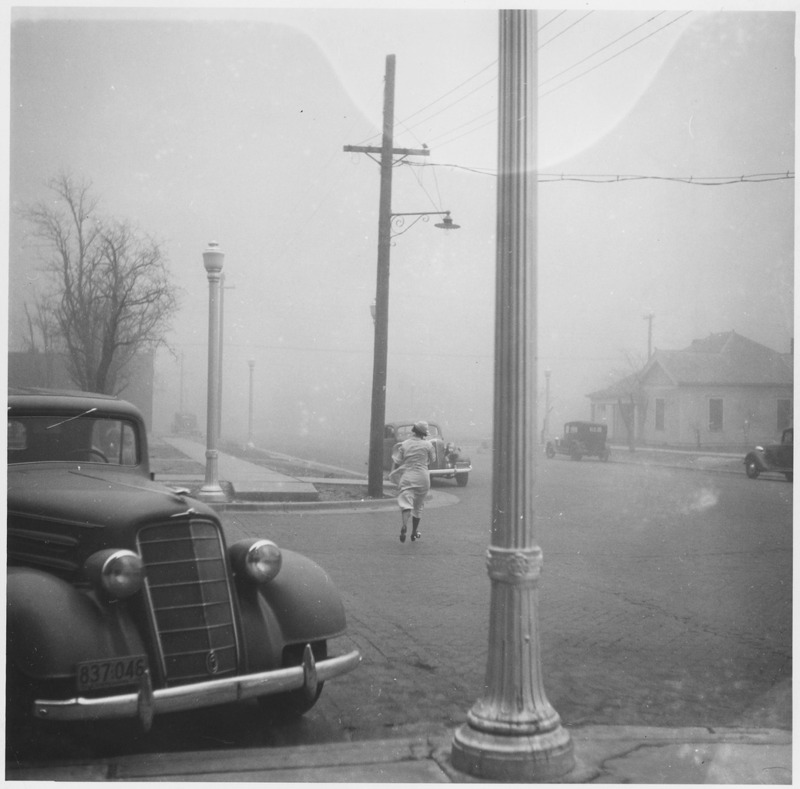 Dust storm in Amarillo, Texas, 1936. 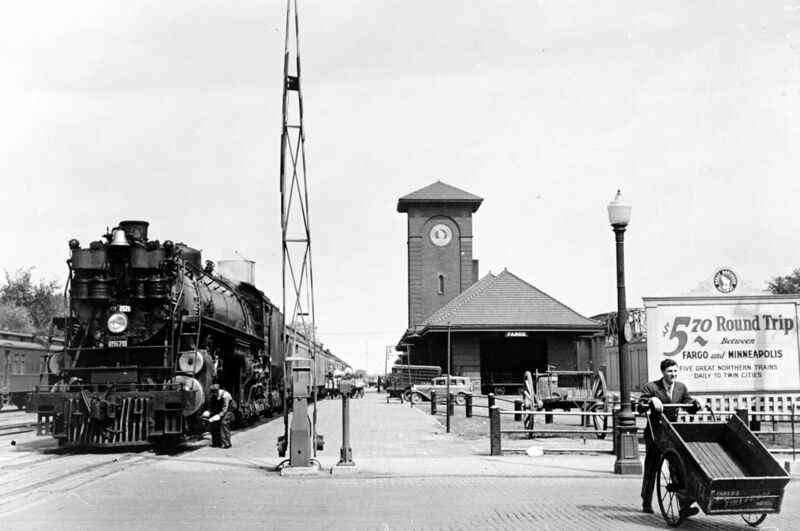 Great Northern Railway station, Fargo, North Dakota, 1939 Summer. 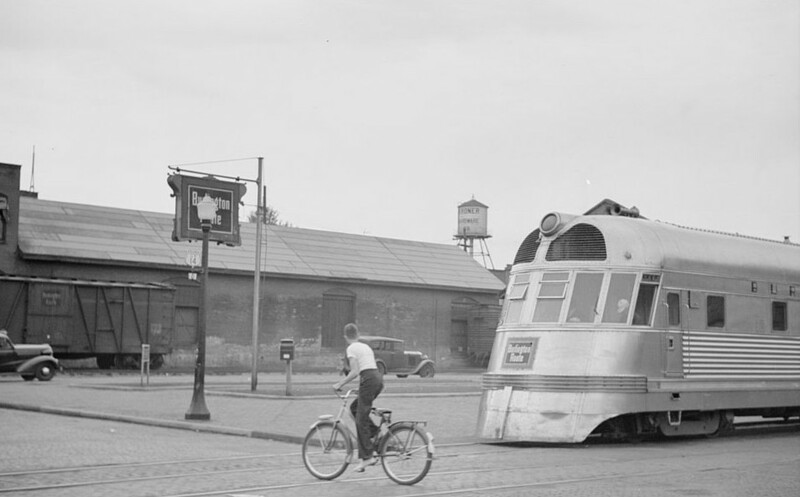 Photo of the Twin Cities Zephyr 9905, Zephyrus, in La Crosse Wisconsin, Summer 1939. 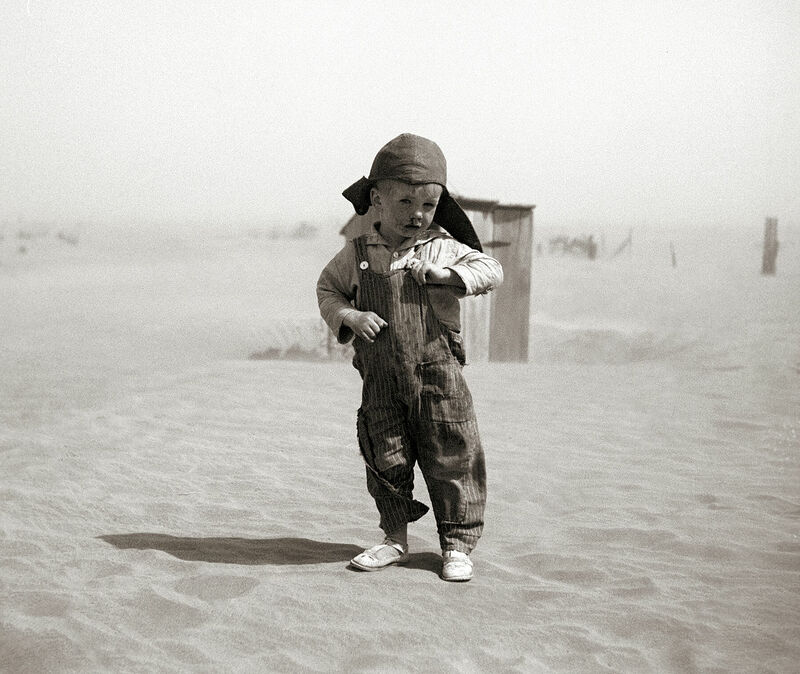 A farmer's son in Cimarron County, Oklahoma, April 1936. 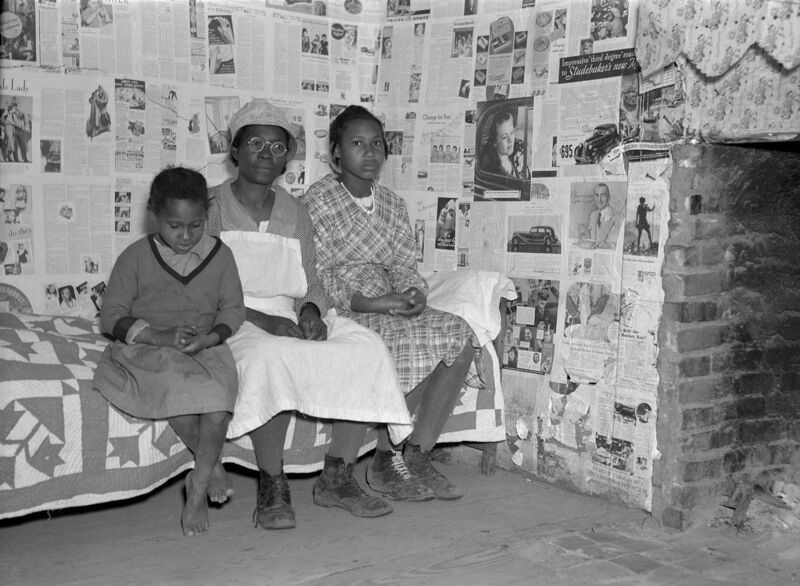 Descendants of slaves of the Pettway plantation, at Gees Bend, Alabama, February 1937. 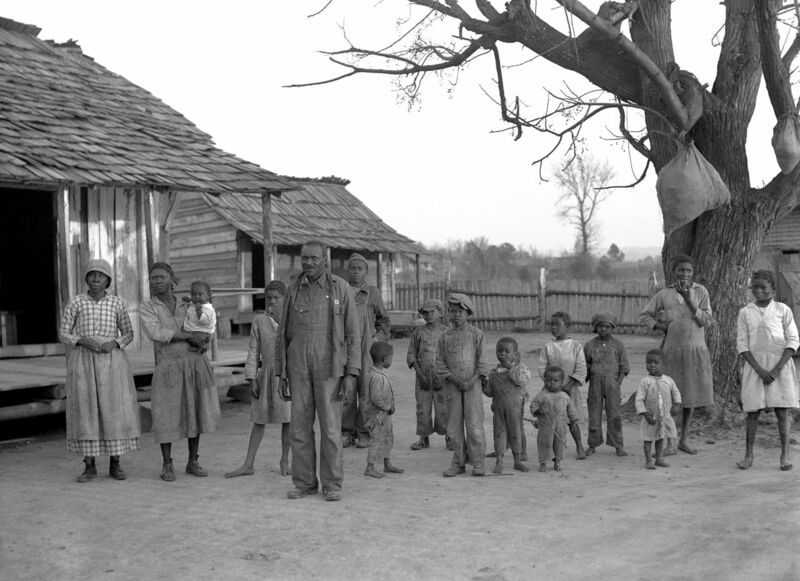 Descendants of slaves of the Pettway plantation, at Gees Bend, Alabama, April 1937. 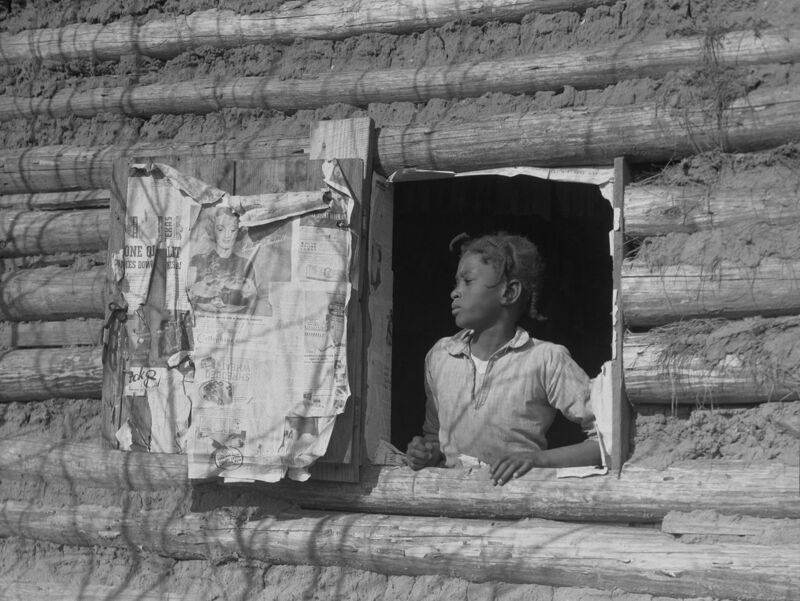 Gee's Bend, Alabama, April 1937. 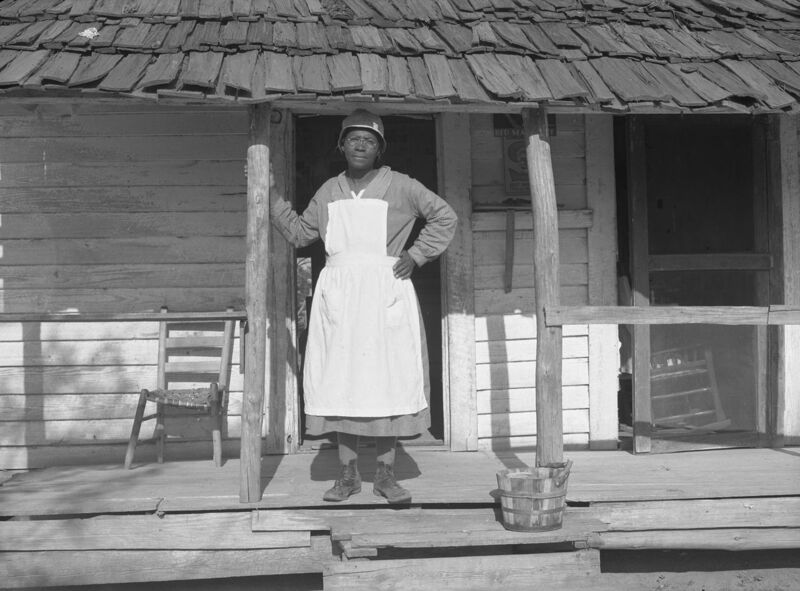 Woman on the Pettway Plantation, Gees Bend, Alabama, April 1937. 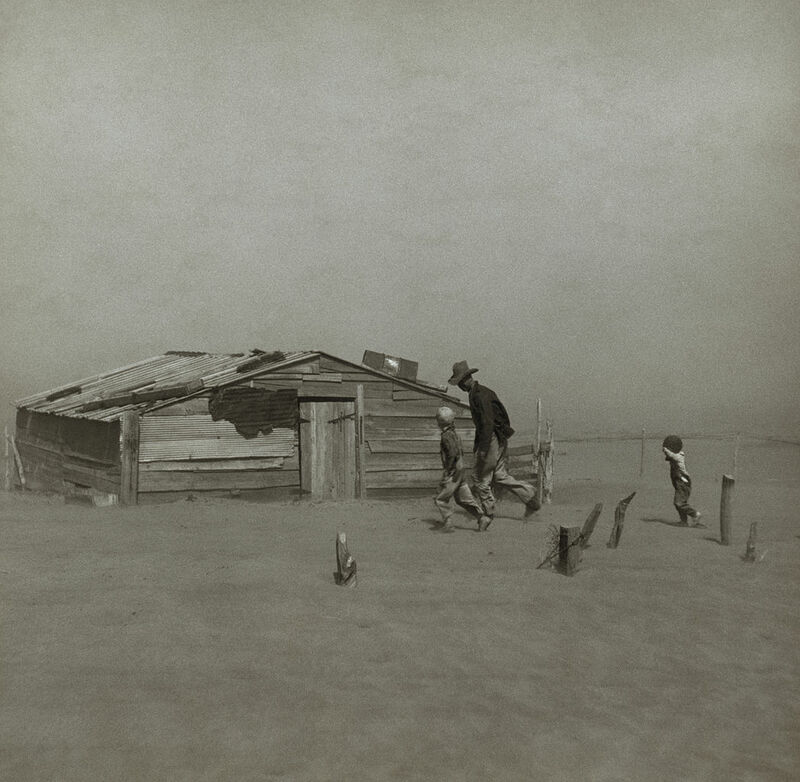 Farmer and sons walking in the face of a dust storm. 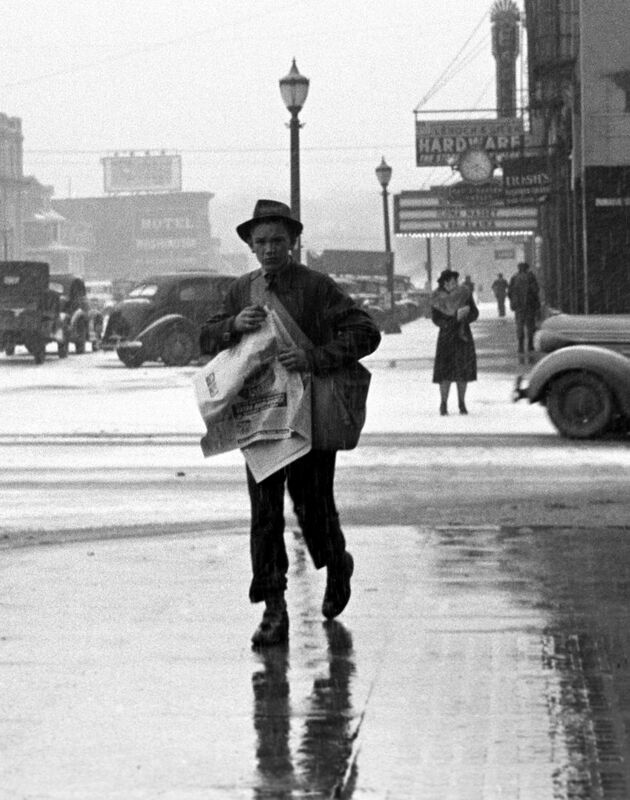 Cimarron County, Oklahoma, April 1936. 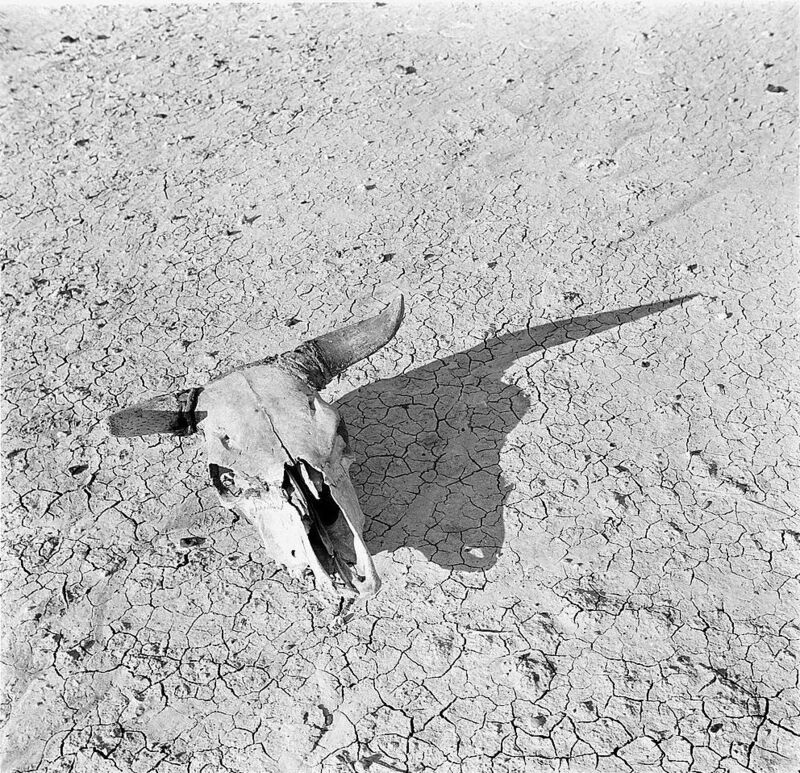 The bleached skull of a steer on the dry sun-baked earth of the South Dakota Badlands, May 1936. 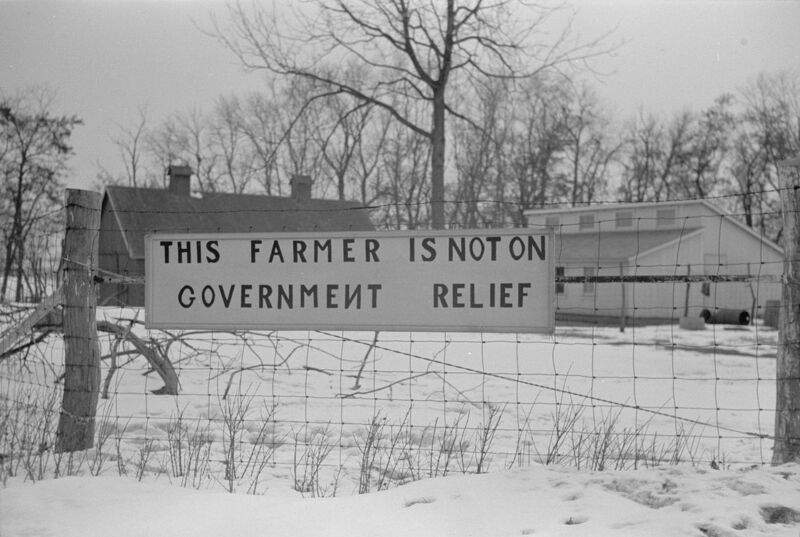 Farmer protesting the New Deal relief program. 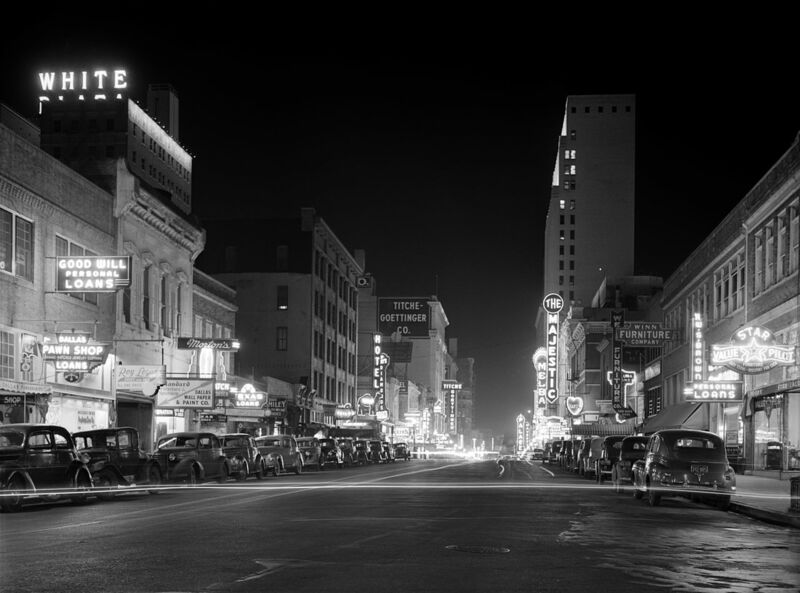 1935-1942. 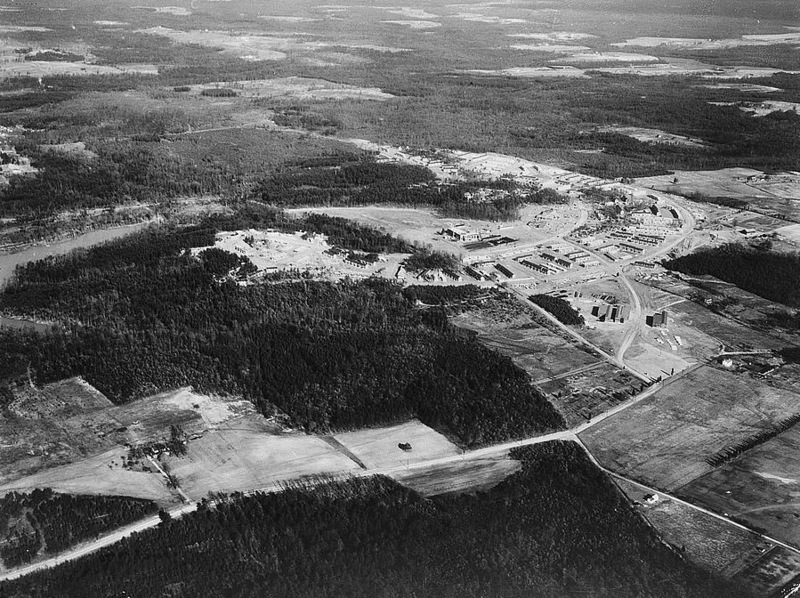 Aerial photograph of Greenbelt, Maryland, March 1937. Sergeant. 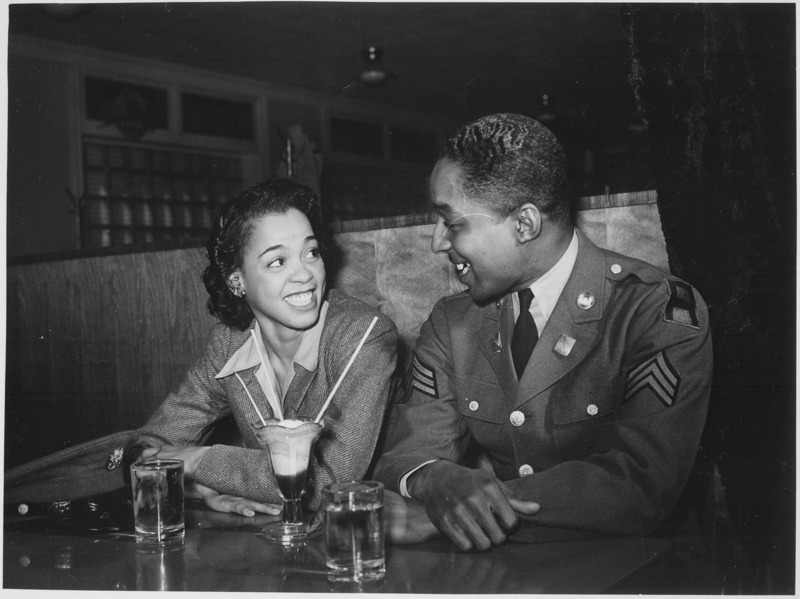 Franklin Williams, home on leave from army duty, with his best girl Ellen Hardin, splitting a soda. They met at Douglas High School. 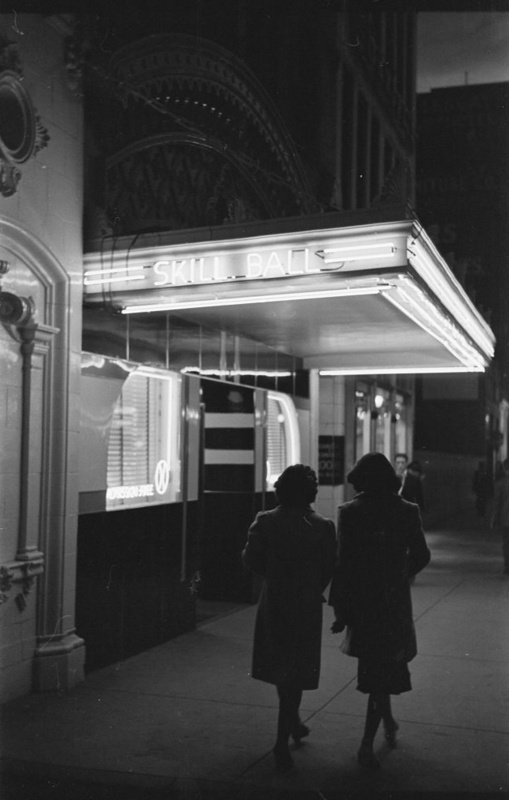 Baltimore, Maryland, May 1942.